#/p#p Visit our Vegas Sports betting types page for information on each of the above betting options. #/p#h Mobile Sports Betting Apps #/h#p Sports betting apps are becoming more and more popular. They are easy to use and convenient. 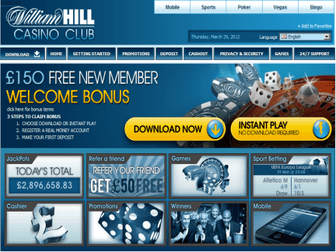 They allow punters to bet on the go on their iPhone, iPad, or Android smartphone or tablet. They include everything you will find on the sportsbook website including betting bonuses, live in-play markets, banking, customer support, and more. Be sure to check out our list of top mobile betting sites for more information. #/p#h Live In Play Sports Betting #/h#p Live in-play options are one of the best ways to get more out of your sports betting. In the live in-play section you'll find hundreds of markets with odds that change as the game progresses. Markets can include first goal, half time score, first team to score, total goals over/under, and much more. Some sites even have live streaming where you can watch the game as it is played out and place your bets at the best odds too.